Obesity is a medical condition, in which layers of undigested cholesterol gather inside your body in the form of fat and as doctors say, this cholesterol is the root cause of many diseases. Obese people are at a higher risk of dying early as compared to normal people. Obesity has become a real epidemic when it comes with more and more people involving in less physical activity because of all the office work and their involvement in junk food. 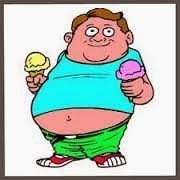 A bad diet is the main cause of obesity. If you suffer from obesity, what all you need is change your lifestyle a bit and for sure you will overcome this situation. It gives birth to many diseases like blood pressure, diabetes, heart diseases and also joint pain. 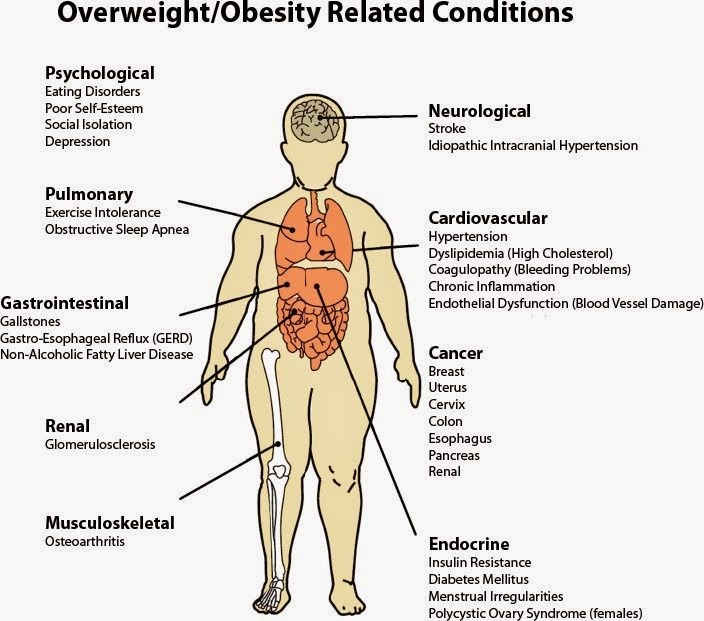 By controlling your weight or fat, you can save yourself from all these diseases. High quantity of cholesterol increases level of sodium in our body, which gives birth to high blood pressure. And as we all know it is very injurious to heart, again giving birth to many heart diseases. Obesity is the common cause of diabetes. High level of cholesterol makes our body resistant towards insulin. As a result, our body stops producing insulin hormone. Heavy weight may cause the problem of arthritis, because it puts pressure on joints. It reduces the level of cartilage in body. It may give birth to brain stroke and cardiac arrest. God, so many problems only as a result of increased fat!! But don’t forget, our health is in our hands. 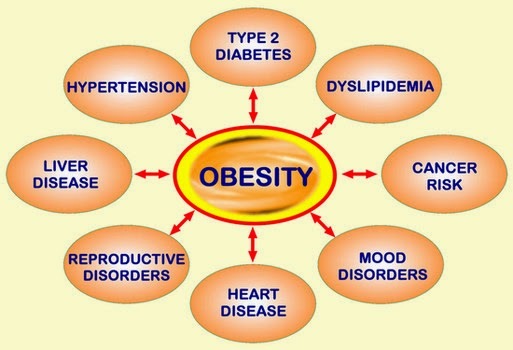 Let’s get to know about causes and cures of obesity. Lack of exercise and physical activity. Hereditary causes and hormonal imbalance, like in thyroid one tends to put on or lose weight. It is a disease which affects the hormones produced by your thyroid gland. In this disease, your metabolism is impacted and you gain the tendency of putting on weight on whole body over a short period of time. Excess stress and lesser sleep may result in obesity. Falling asleep just after the meal. Increase fiber intake in your meal. This is the easiest and best way to control weight. Do brisk walk for at least 15-20 mins. And remember tuck your tummy inside while doing any kind of walk or even jogging. As if your tummy will be normal or out, it is going to be of no gain when it comes to lose tummy fat. Reduce intake of all food items which are high in starch like potato, peanuts and peas. Eat fruits and salads in first half of the day. Eat something every 3-4 hrs. Don’t starve yourself rather eat little amount. Include oats, wheat and barley in your meal. Try to intake at least 600gms of green vegetables per day. Keep an eye on it. Avoid pineapple, mango, cashew, refined flour, packaged food and all aerated drinks. Don’t go for crash diets as people who go for crash diets rather end up gaining more weight. Add some physical activity in your daily life. Try to opt for stairs rather elevators or starting playing your favorite outdoor game. Drink lots and lots of water. Trust me it can cure and prevent many diseases. Oh…that’s it!! If you want to know more about my and my sissy, Ritcha’s personal experiences, you can go through it here and here. 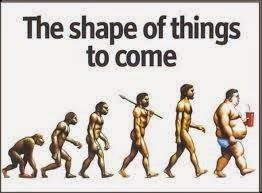 Obesity is now not only a condition but it has become a disease. Let’s overcome it before it overcomes us. Let’s don’t fall prey to it and fight it and be light and happy always 🙂. I've seen my previous obese colleague. He can fall asleep at this desk any time of the day and sweats profusely so much he has 2 fans around him on top of the office air-con. I hope people will care for their health and you certainly have mentioned those. Exercise and a healthy diet are key! This was an excellent post! Great post! Let's stay healthy indeed! Informative post, loved reading it. great post my dear!!!! very interesting!! Great post! Such excellent tips and information. Thanks so much for sharing this! Some awesome information and great tips my dear ???? Great post, we all must be informed on how healty life style is important! You put a lot of work into this post. Thank you so much for sharing. I nominated your blog hun. Come check it out. A very detailed and insightful post! These are very precious informations! Hello dear, this is an interesting post!!!! I too need to lose a bit. I'm starting that with working around the house cleaning which actually helps me a lot more than exercise. Thank you for such an informative post. Wow this is quite shocking! Of course it's a all known fact that diabetes and obese are connected, but the logic and almost statistic way you put it together in this post is a real eye opener! If only veggies and fruits were just as (in)expensive as junk food… Great post! Great post Charu. You always post interesting and informative things. I still have more to lose, very informative post. Thankyou so much love, will check it out soon!